The World Health Organization said on Friday that it could not be certain that it had identified all people exposed to the deadly Ebola virus in the Democratic Republic of Congo’s North Kivu region, where insecurity prevents aid workers from reaching some areas. More than 500 people have been vaccinated so far against the disease in Congo’s latest outbreak, marked by a total of 78 confirmed and probable cases including 44 deaths, it said. Some 1,500 people have been identified as contacts of infected people. “We don’t know if we are having all transmission chains identified. We expect to see more cases as a result of earlier infections and infection developing into illness,” WHO spokesman Tarik Jasarevic told a Geneva news briefing. 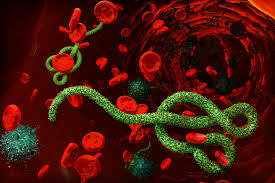 The Government of DRC announced on August 1, the existence of Ebola virus in North the province, a little more than a week after the Ministry of Health declared the end of an outbreak in Equateur Province in the far western part of the country. North Kivu hosts over one million displaced people. The province shares borders with Rwanda and Uganda with a great deal of cross border movement due to the trade activities. Ugandan government days ago announced it had put measures in place to combat the disease incase it hits the country.